Most of us are in that weird transition between Spring and Summer. We’re getting a little more sunshine, but the weather’s not quite doing our skin any favors quite yet. 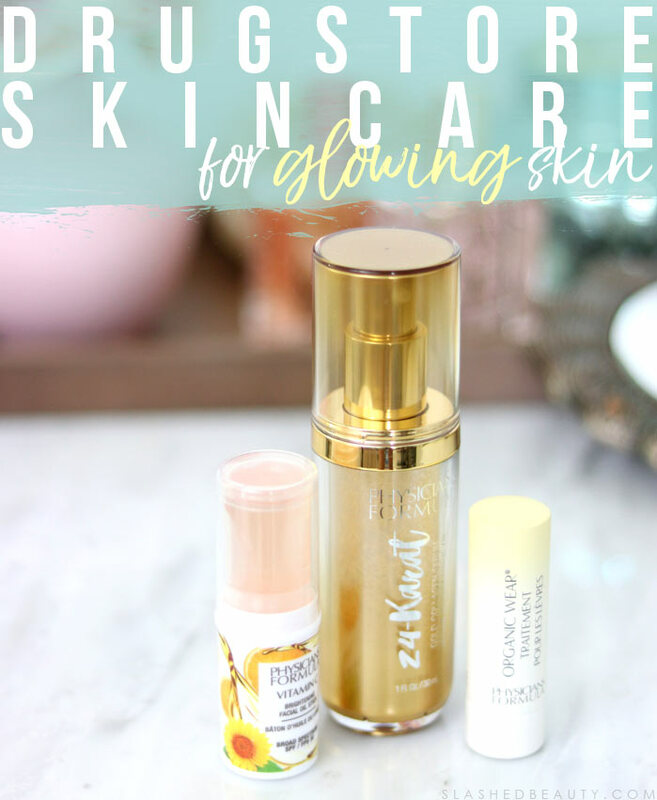 I have wanted to jump start my Summer glow, and the latest Physicians Formula skin care releases have been helping me achieve a newfound natural radiance. 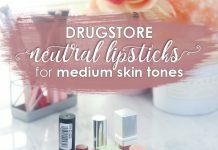 These cruelty free drugstore skin care products are not only affordable, but have super nourishing ingredients to do any damage control needed after winter. The first one you actually may have seen me talk about on my Instagram already. I love using Vitamin C in my routine, as it helps even out tone and helps lighten my acne hyperpigmentation. 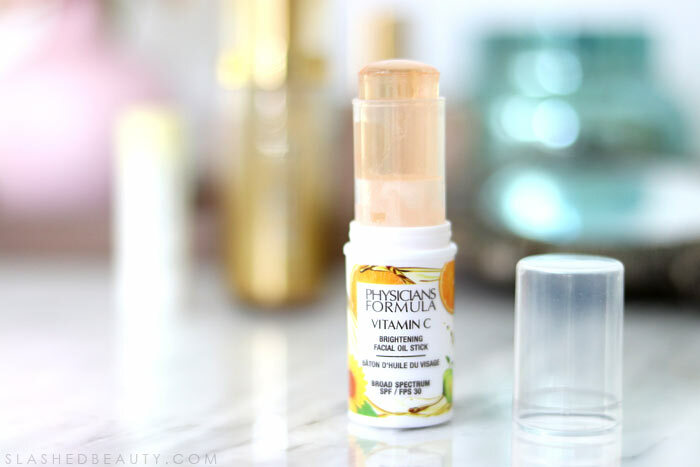 The Physicians Formula Vitamin C Brightening Facial Oil Stick has been a really easy way to incorporate the ingredient into my skin care rotation. The oil stick can be applied straight to your face, delivering instant hydration from the Orange & Sunflower oils, plus protection with SPF 30— perfect for applying in the morning before makeup. The Kakadu Plum in the formula also helps with anti-aging benefits, as well. Despite being an oil, once you swipe it onto the face and rub it in, the finish is soft and not too dewy. It’s very lightweight, so I have no problem moving on to foundation after applying. The stick is easy to throw in your bag, too, for on-the-go and travel. I don’t know about you, but I’m incredibly picky with serums. I love the deep hydration they provide, but I really hate the heavy residue feeling that lot leave behind. I fell in love with the new Physicians Formula 24-Karat Gold Collagen Serum the first time I used it. You too, can now jump on the luxury skin care trend without breaking the bank! This serum is formulated with vegan collagen and 24-Karat gold which work together to give you plumper, firmer and more youthful skin while also brightening with vitamin B3. You can literally see the strands of gold with every pump, which dissolve into your skin as you rub it in. But the best part about this serum is how fast it sinks in, and the natural finish. It doesn’t leave any type of residue behind, which is really important when you layer skin care products at night like I do. Plus, the packaging is totally vanity-worthy, right? I love how they’re bringing the popular 24-Karat fad to the drugstore. Finally, we can’t forget about our lips. 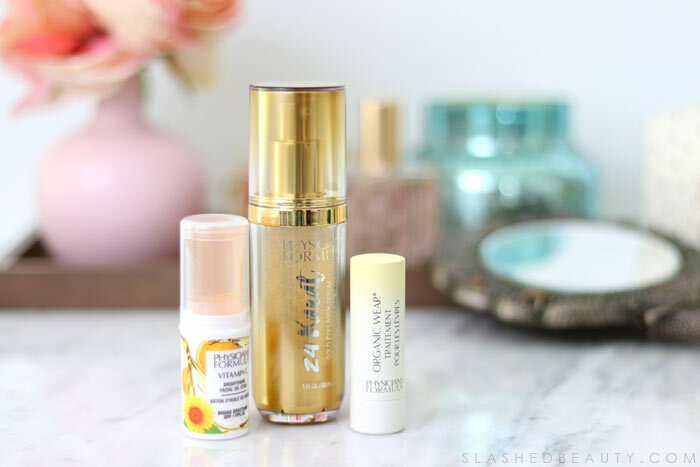 I’m a lip balm fiend— hydrated lips make the best canvas for lipstick, and I just hate the feel and look of chapped lips. Though, they’ve been hard to avoid this season. 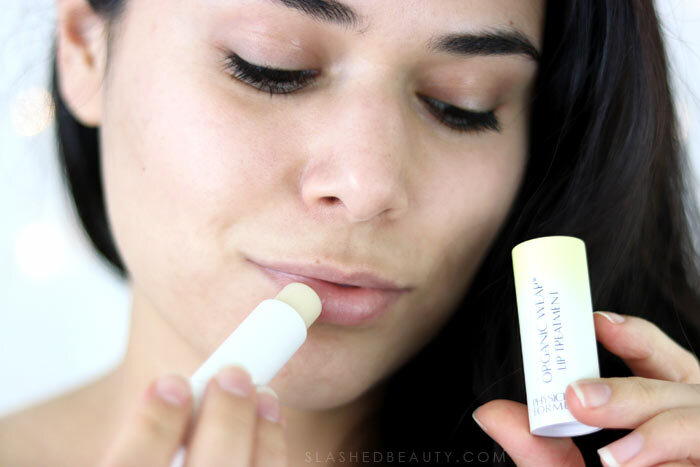 The new Physicians Formula Organic Wear Lip Treatment is heaven-sent! It’s got all my favorite ingredients for moisture, like coconut, jojoba, and shea oils plus vitamin E for a rich layer of moisture. I wear it on its own, but also underneath my matte lip colors for hydration and comfort. The new Physicians Formula skin care products are available exclusively at Walmart and the brand’s website. As much as I love the brand’s makeup, this is the first time I’m really using their skin care and I’m enjoying it! I can definitely see myself using these well into summer because of their lightweight formulas and protection properties. 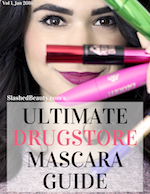 Have you used Physicians Formula skin care? 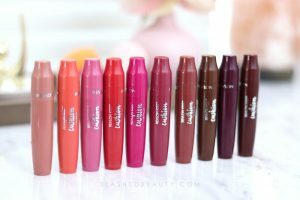 Previous article2018 Sephora Spring Bonus Sale is On! I have been loving all of the new PF releases! The 24 Karat serum looks so awesome. That serum looks really good! I’ll have to check these out! They are killing it! 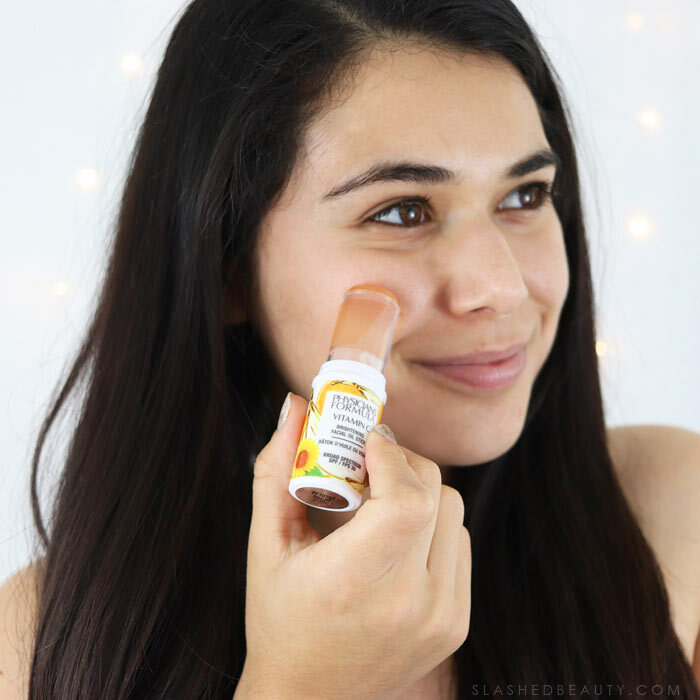 I have been loving the vitamin C stick! These sound so good! Physicians Formula is killin’ it lately! Oh I definitely need to try the Vitamin C Stick and the serum! I’ve read some nice things about these and I know that PF has really upped their game. No one has mentioned though if these have a fragrance so I hope you can let me know. The gold serum is fragrance free, the other two are not. great question! What nice sounding products from PF. I am curious to try that lip balm. Some of us are still in winter, lol! I am dying to try the new PR C serum. Just the look of the packaging alone makes me want it! Lovely post! I use vitamin C, but I have not yet seen it in the stick. It is very comfortable. Well I have to go to a Walmart anyway today might as well look for these!